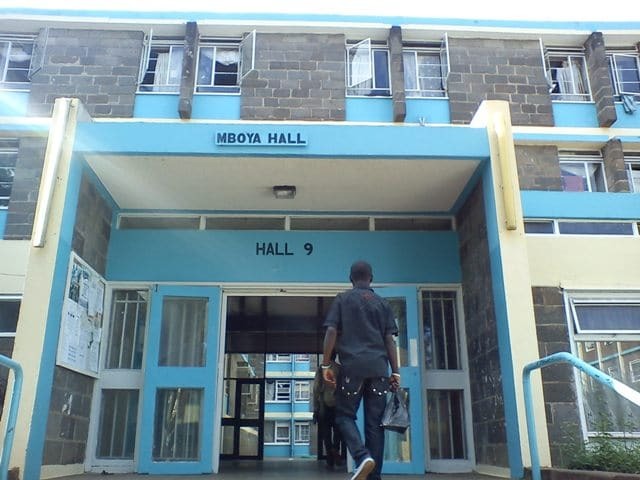 University of Nairobi (UoN) halls of residence especially at the Main Campus are in a sorry state, sources have disclosed. The hostels, it has been said in the past are in a dilapidated state and it seem like things are yet to change even as the university administration block gets fitted with the latest granite tiled floors and state of the art furniture in the market. First years halls of residence, also known as the freshers halls, Kahawa Tungu has learned have not had water for a while now forcing them to crowd onto a single tap. “Nearly 400 of us using one tap situated about 70 metres from the affected halls at a fire assembly lawn,” a source who sought anonymity for fear of victimization said. Even as they stare at a possible cholera outbreak the new students who reported to the institution of higher learning on September 10 are complaining about the beddings provided by the school. “You will not have the courage to give the mattresses to these homeless men or women roaming the streets of Nairobi!” the source continued. The students have since taken up their issues with the custodians – in charge of one hall, and answerable to halls officer – but no action forthcoming. Instead they have been asked to remain patient and enjoy university life.